Get cuddly with the different animals that will land to form winning combinations of your slot grid! 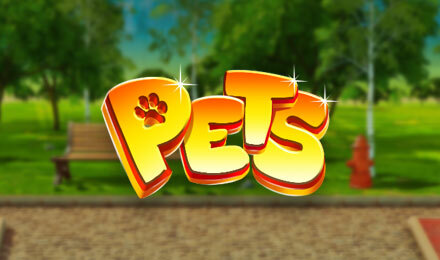 Enjoy this beautiful Pet slot game at Wicked Jackpots. Exploding with colours, based in a traditional alley, Pets slots brings to all the best home kept animals of all time together. Enjoy an excitement filled 5 reels and 40 paylines slot game which gives you a chance to grasp the best of wins. Benefit from free spins, sticky wilds, wilds, bonus symbols, and numerous bonus features. Symbols like: turtles, dogs, cats, rabbits, fish, hamsters, and birds will combine to make you have a great winning combination. Grab hold of the most rewarding features and win big!